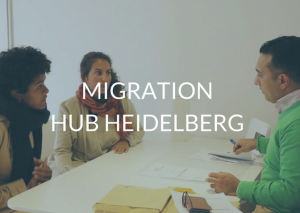 The Migration Hub Heidelberg is itself part of the international Migration Hub Network along with the Migration Hubs in Berlin, Munich and many other actors. 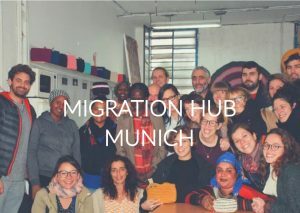 Migration Hub gathers, connects and matches local projects and organizations with other stakeholders to support their actions and shape work in asylum, migration and refugees inclusion to be more impactful and intentional. 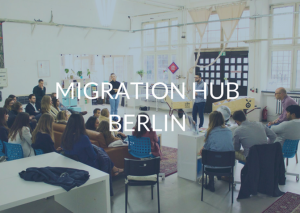 As a Network, Migration Hub functions as a connector and as a guide. The physical spaces host locally-based projects and organize events in order to bring civil society, the public and private sectors together to foster collaboration & discussion around the topic of mass migration. Our Network currently contains 24 high-impact organisations and initiatives active in migration, as well as foundations, businesses and decision makers. So far, we have received more than two dozen site-visits from fellowships and university students from the United States, East Asia, European Universities and renowned foundations.